I’m going to blow your mind right now. Ready? Women. Play. Video Games. I KNOW… I know. Hard to believe, right? At least, I get the feeling it’s hard for the Triple A game publishers to believe. At some point on Monday during E3, after several hours of press conferences and game demo presentations, I began to notice something: there were an awful lot of similar-looking lead characters. Almost every game I saw had one of two player characters shown. It was either a gravelly-voice white male with two-day stubble and a crew cut, or it was a cocky white guy with a smirk and an attitude. The most diverse character I saw on day one was Ubisoft’s homosexual villain for Far Cry 4. And he’s still a cocky white guy with a smirk and an attitude. Sure, we saw Lara Croft for a brief second, and a few female characters shown off for Dragon Age, but overall, it was a very white male dominated day for gaming. Of course, Ubisoft had to make things worse by attempting a justification of the lack of female player characters in Assassin’s Creed: Unity. In a game with four-player co-op, there were zero female assassin’s included. Their reasoning was that it would “double the work” and cost more. I find it hard to sympathize with a company that does yearly releases for this franchise when it comes to not having the money to make a few more character models, especially given all the money spent on making everything look fancy and pretty. The internet even attempted to say it would be “historically inaccurate” (it isn’t) to include a female fighter in the French Revolution. All of these are just poor justification of an inability to put forth the effort to make a game more varied for the user base. If you’ve braved gamer culture online for any amount of time in the last few years you’ll know this isn’t exactly a new observation, nor is it a new problem. This has been the state of gaming for a long while now, and the continued effort by female gamers, as well as a lot of male gamers, to bring a more robust cast of characters from all genders and races to gaming isn’t anything unexpected. We want variety in our games, both in what kind of gameplay and story we’re offered, but also in who we get to play as. We’ve gotten some great games with female leads, as well as some great supporting females, but most of the big titles are still overwhelmingly carried by similar white males. And putting it bluntly: that’s terrible writing. When you can’t come up with a better player character than “grumpy white dude” or “bro-douche white dude”, you’re not exactly imaginative. And it makes it harder and harder for me to put faith in your games being imaginative as a whole. Does this mean we should completely abandon white male lead characters? Of course not, but maybe mix it up once and awhile? Show that you’re at least trying to represent the substantial amount of human beings on this planet that are, in fact, NOT white males. Come to think of it: that’s the MAJORITY of people on this planet. And yet: mostly white males in our games. I was kind of discouraged heading into day 2, and as I sat down to watch the Nintendo E3 showcase, I really wasn’t paying much attention to gender anymore. But about halfway through, I noticed something: there was an awful lot of female characters being shown off. And upon looking back on it, aside from games where you play as non-humans (Kirby, Yoshi, etc. ), almost every game had at least one female character, if not one female player character shown off. And these weren’t just cookie-cutter throwaway female characters, a lot of them were strong, interesting females who weren’t just paraded around in bikini armor to show off jiggle physics. Nintendo, without really making a big show of it, seems to have created a diverse player character collection that anyone can enjoy. And I think it’s about time we shine a positive light on the “women characters in gaming” conversation and take a look at just how great these characters are. Right away, we were treated to the introduction of player-created Miis being playable in Super Smash Bros. They showed off both genders of Mii, which already opens up to allowing girls to play as themselves in Nintendo’s hotly anticipated title. But at the end of the show, we were also introduced to another new character from Nintendo’s roster: Palutena. She was given a pretty cool cinematic intro video showing her as a strong, determined character. 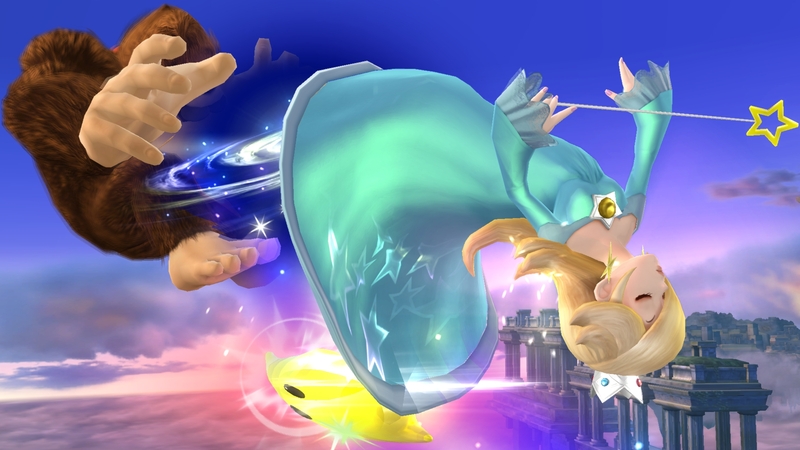 This isn’t the first female character added to the new Super Smash Bros, with Rosalina and Wii Fit Trainer (there is also a male version) added earlier in the game’s development. This brings the currently known roster up to 9 possible playable female characters (counting Samus twice here). That’s definitely a reasonable amount of great Nintendo characters, and there is always potential for another one to be added (I’d suspect a female from Fire Emblem in the near future?). We were also treated to new player characters from the upcoming Dynasty Warriors/Zelda crossover, Hyrule Warriors. We already knew we would be able to play as series protagonist Link, but we were informed that we could now play as not one, but three popular female characters from the franchise. 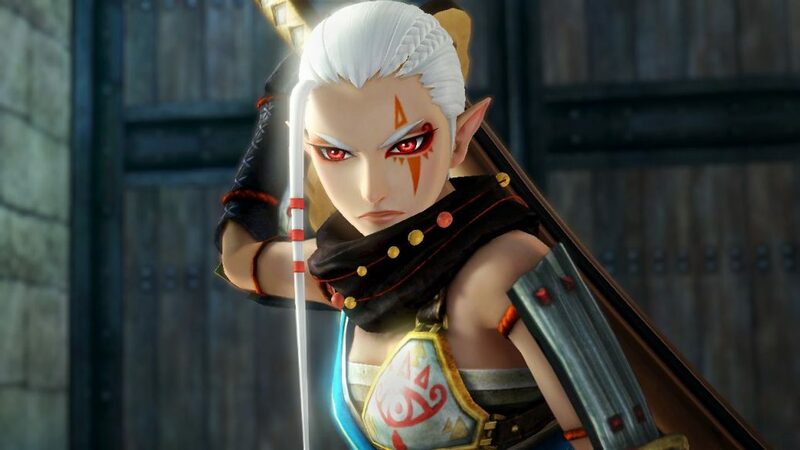 Not only could you play as the series’ titular Princess Zelda, but fan favorites Impa and Midna from Twilight Princess were also added to the player roster. These are three very different characters in terms of personality, but they have one thing in common: strength. Zelda isn’t a stranger to falling victim to the “rescue the princess” problems in fantasy writing, but she’s also been known to help Link out in battle, and become a crucial part of saving Hyrule in numerous games, it’s refreshing to see her completely playable finally in an action game for the series. Midna’s wise-cracking attitude and hold-nothing-back personality made her a delight to have with you in Twilight Princess, and it’s nice to see the character return. Impa in particular is a popular female character in the franchise for her strength, intelligence, and independence. Her character model is wonderfully designed, looking battle-hardened, but also have a kind of understated beauty. Including these characters as playable is a great step forward for the franchise, and if Hyrule Warriors is well received, perhaps someday we’ll see Zelda playable in the main series as well. Nintendo also introduced their new IP Splatoon, which includes both male and female character models to play as. And while it wasn’t mentioned during the Nintendo Direct, it was confirmed that Monolith Soft’s anticipated sequel to Xenoblade Chronicles will include the ability to fully customize your main character, allowing you to play as different genders, skin colors, etc. similar to most Western developer RPGs. Apparently, Monolith Soft and Nintendo were willing to put in “double the work” and the money necessary to create character models for both genders. It’s not so hard after all, Ubisoft. And then there is Bayonetta. It’s still quite a surprise that Nintendo is now publishing the Bayonetta series, given it’s adult content and nature. However, the trailer shown off proves that Bayonetta is still the same character fans of the series loved before. She’s always been a rather interesting character, wearing her sexuality on her sleeve without feeling outwardly objectified like a lot of other female characters. And she’s still very much a s*** character, but continues to hold the kind of bad a** persona and confidence that made her stand out when the series was introduced. It’s refreshing to see a character like Bayonetta getting plenty of attention from Nintendo, proving they want to provide games for adults as well as kids, and still keep the same level of gender inclusive character roster their main franchises are enjoying. While this is still just a good start for bringing more strong, well-designed female characters into the game industry, it was a nice change of pace from the usual white male dominated game presentations of E3 to see so many interesting female characters shown off so casually, like it really is just a normal part of gaming. Nintendo deserves credit for putting so many positive female characters into their franchises going forward, allowing new generations of “girl gamers” to play as their own gender and feel like they do belong as gamers. And double kudos to them for taking back the Princess! Showing that while girls can dress in black and kick a**, they can also dress in pink and kick a** all the same. I love seeing characters like Peach and Zelda sport traditional female character garb, but no longer be thrown into a cage for most of the game and projected as delicate and in need of help. It’s a positive message to send to girls that they can be who they want to be and do what they want to do, both in the real world and in games, no matter how they want to dress or what their interests may be. Peach can still bake cakes and wear makeup and throw down with the boys. Here is just a small collection of screens showing off some of the female characters from Nintendo’s E3 lineup for 2014/2015! Keep gaming, girls! Not wanting to sound rude but you didn’t even make mention of May/Sapphire, female main character from Pokemon(Generation III) appearing in the upcoming remake OmegaRuby/AlphaSapphire.